Dr. Peter Corrigan, AM, the dean of a vigorous and difficult brand of Australian architecture passed away on December 1, 2016. 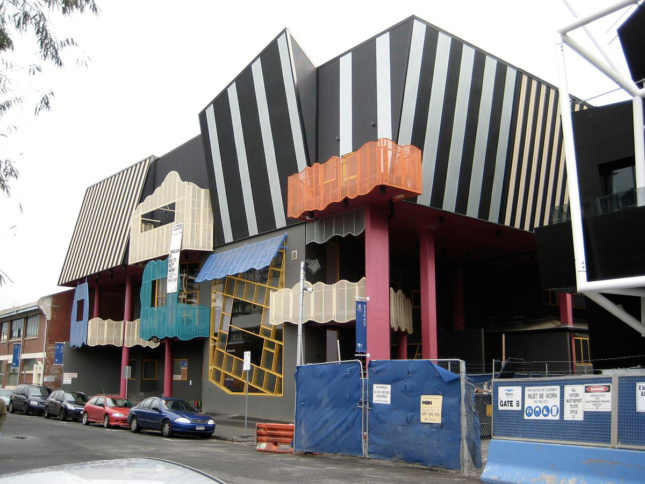 His passing marks the end of an era—one in which, initially by his own doing, the Melbourne wing of Australian architecture refused the polite modernist postures of a Seidler or the pastoral narratives of a Murcutt and became a full-throated and, one might say angry critique of post-colonial culture. Corrigan was only 77 but had fought illness for a decade. In a half century Peter Corrigan, with his life and work partner Maggie Edmond, had achieved a career that would be enviable on any continent, but especially in Australia. Australia is a country as challenging as any to establish an architectural practice, let alone one with such a passionate and some might say rebellious voice. Corrigan leaves behind a grand legacy: of many buildings and countless awards received; of numerous protégés and perhaps some enemies; of wild ideas shared selflessly with many students in Melbourne and elsewhere; of an architectural voice in the wilderness built of dreams and hopes set against the small-mindedness of the local political leadership and the usual numbing logics of the construction market. There are few parallels to Corrigan’s work anywhere in North America or Europe left to mention these days, especially in light of the limited recent output of Denise Scott Brown and Robert Venturi. Corrigan was a student of Venturi’s at Yale in the late 1960s and yet somehow also a lifelong admirer of Aalto and Schraroun. Despite his vast output he remains, perhaps by design, an internationally undervalued pioneer of what later would be called Postmodern architecture. Charles Jencks and Kenneth Frampton never sang his praise and Corrigan never sought it. However, the life-work speaks to something more than what came to pass as Postmodern in the United States: faux historicism and silly façade games. 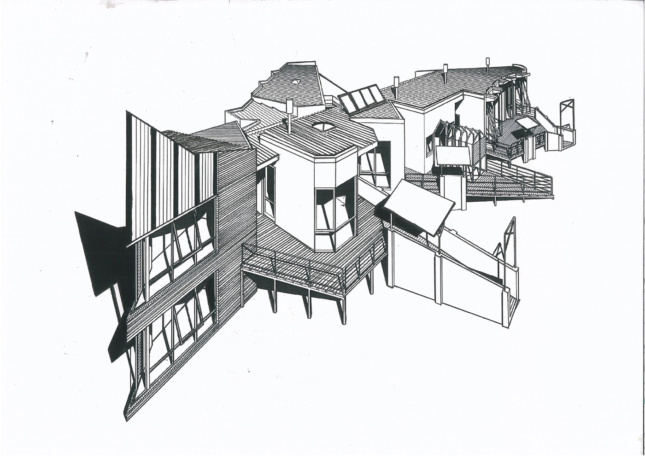 If Corrigan’s early work too often took up the challenges posed by Kahn’s late work or Venturi’s Guild House and Mother’s House then the mature work extended a unique voice and timbre—as if by kaleidoscopic projection—into an idiomatic and local Australian expressionism. Wildly regional and local in its references and in-jokes, the oeuvre remains oddly imbued with the cosmopolitan and intellectual generosity that characterized the man as a teacher and a scholar. Indeed, Peter was no ordinary architect. His “Cities of Hope,” buildings as varied and often incongruous as suburban churches and fire stations, oddly iconic small home additions, schools, university buildings, galleries, and many designs for single family homes (designed and built or sketched and unexecuted) seem, in retrospect, too provocative for our age. In the place of the needless and endless banality of “next-generation,” technologically-generated, parametric or now object-oriented, nonsensical and mean baubles that get paraded around the schools and the competitions, Corrigan offers us only the sort of aesthetic charms that a Bertold Brecht could understand. Edmond and Corrigan’s work was unstylish, unrefined and lowly (for a love of the Untermenschen and not the Superman). It was sometimes poorly made but never boring, never inoffensive, never generic. The work was ridiculous in the best possible way and always theatrical. In fact, Corrigan spent a great deal of his career designing for the theater and opera, working recently with Barrie Kosky on Falstaff in Graz. His sets were otherworldly. Peter Corrigan was difficult in an age that demands smoothness of both architecture and architects. He was sometimes horrible, even terrifying. He remained a challenging character well into in a time in which upsetting the commons by speaking honestly was increasingly frowned upon. His exhortations to his students were searing and scathing and his demands as a teacher were unrelenting because he knew the world is always so much crueler than the classroom. “Symmetry is Asinine!” he roared one late afternoon to my class. “Architecture is not for Philistines! Next time you come to class bring your brain!” Corrigan was not politically correct but neither was he a bigot. 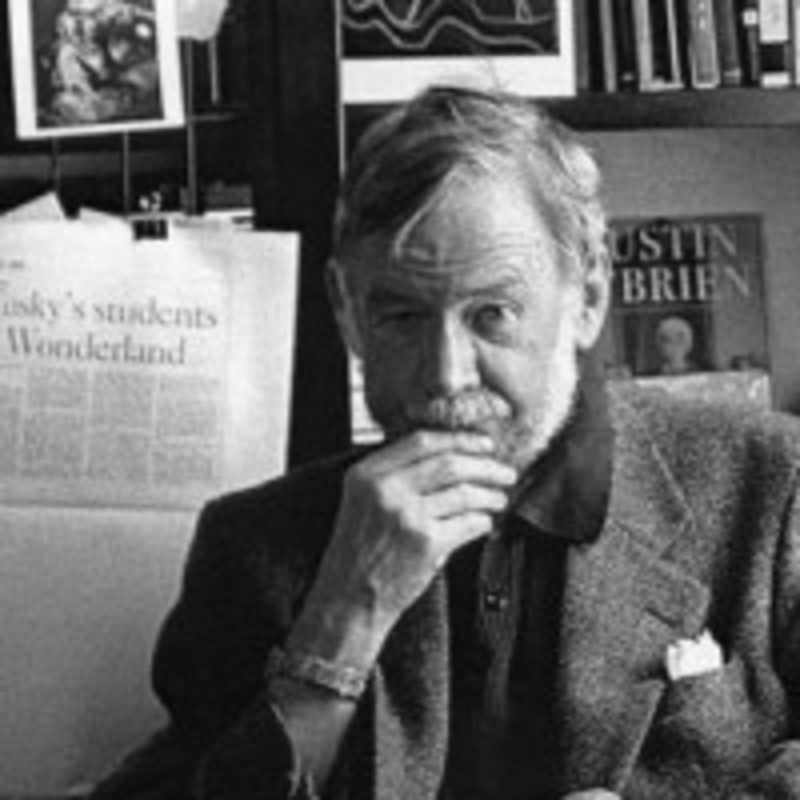 He was usually irate and sometimes publically inebriated, even when he taught a now infamous design studio at Harvard. Yet, as a teacher he supported and nurtured the weakest voices and endured, with patience, the slowest students. As long as his students showed up with work, had hope, or could dream, Peter was their champion as he guided them with a genuine kindness so that they find might their own voices, their own resolve. It would be odd, perhaps, to conclude this dedication without explaining my personal connection to the man and my memories of him, formed over the decade I spent in Melbourne, studying at the Royal Melbourne Institute of Technology (RMIT, previously a night school: the Working Men’s College of Melbourne where my father studied architecture and design as a European refugee). RMIT, like other independent schools of architecture that formed new voices in the 1980s, was Peter’s laboratory and his ideas were lightening rods for a generation of Melbourne architects who have since reshaped the city. That said, I was never his student or a follower and I never had the desire (or perhaps the will) to endure one of his now famously grueling design studios. In retrospect, I regret the lost opportunity. I did, however, have a few run-ins with Peter. As a first-year or second-year student, I was asked to use some crude and slow early version of CAD to draw up a small project of my choosing. I decided, wrongheadedly, to try draw up one of Edmond and Corrigan’s most complicated projects, the Athan House in Monbulk, Victoria (1986-1988) and I approached his office to acquire the plans. Invited to meet him and then, not surprisingly, made to wait in his remarkable studio library for what seemed like hours, he arrived after what must have been a very long lunch. Corrigan vigorously quizzed me about my intentions and then after vaguely explaining the project to me he instructed me to return for the copies of the plans. I picked them up a few days later but we didn’t speak again for half a decade. The next time we spoke was at an exhibition after party in St. Kilda, a beachside suburb of Melbourne. I don’t recall our conversation exactly but I do remember he and I mixing some red wine and white wine to extend our evening’s merriment. He called it Rose. I thought we were just making do with the night’s leftovers. The house itself is mysteriously a chevron in plan that decided to sprout a series of neo-expressionist spikes, bizarre decks, outriggers, a small masonry bridge and various other unnecessary but crucial appurtenances. Naturally, the house turned out to be nearly impossible to document digitally. While I did eventually manage to faithfully draft up the plans and I returned copies on a floppy disk to his office, I don’t think he ever bothered to review them. Perhaps Peter suspected this would be the case given his suspicions of technology. His office has already painstakingly produced ink on vellum plans and perspectives that were infinitely more refined than anything I could conjure on the computer. 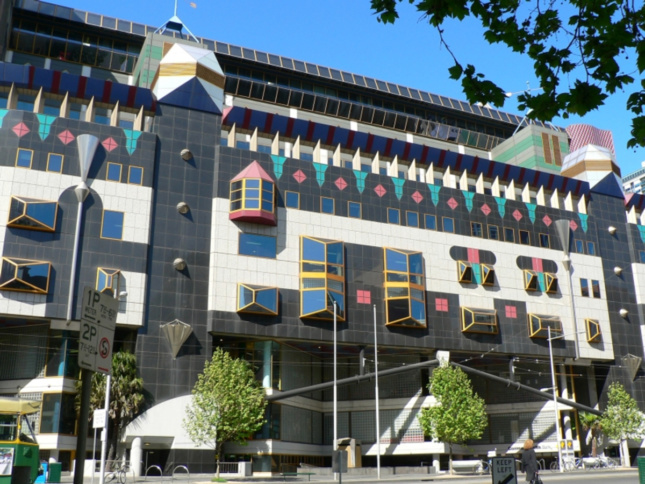 Later, as a teacher, I spent the better part of half a decade in RMIT’s Building 8 on Swanston Street, a riotous and rude imposition on an earlier unfinished building by John Andrews (the architect of Harvard’s Gund Hall). At the time I found Corrigan’s polychrome masterwork to be ugly and challenged. But in retrospect I was perhaps too callow to understand his work and even more that a little scared of it as a symbol his formidable and restless intellect. Peter’s impact remains with me over half a globe away and almost two decades on. When I drive or ride around Southern California’s suburbs and communities I have often wondered why so many architects here have elected to see them only as blank canvases for various futurisms or nostalgic recreations instead of places imbued with an extraordinary, beautiful, and melancholy ordinariness. Sometimes I daydream about what an evocatively idiosyncratic but generous architecture might look like in place of the saccharine and anodyne nonsense we render and reproduce, relentlessly in the name of advancing architecture. Last week I looked again with new eyes at Peter Corrigan’s work and I remembered an architect who accepted and valorized the local and the ordinary, an architect who made the most use of the poorest and most mundane materials, accepting the ersatz and kitsch as a good things, not as repulsive things, making the most with the least.